Social drinking is so widespread it’s difficult to know if you have a genuine alcohol problem or not. But Scotland is taking the bull by the horns in its quest to encourage women to curb their booze intake. 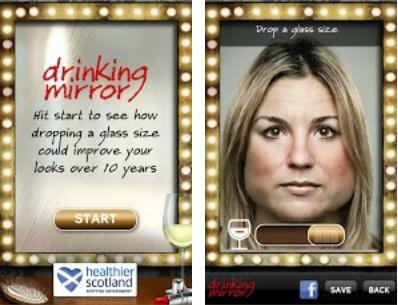 As part of its Drop a Glass Size campaign, which launched today, the Scottish Government rolled out Drinking Mirror for Android, which sets out to show you how bad you’ll look ten years from now if you don’t cut back on your alcohol intake. Why the focus is on women only I’m not sure, as the app will work just as well for guys, and it’s not like women are any worse than men when it comes to drinking. 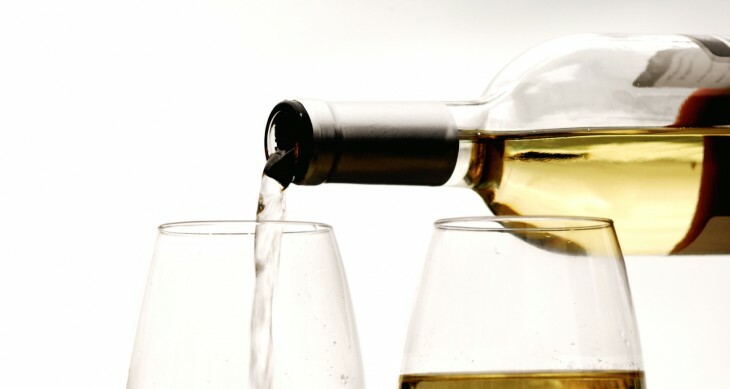 Plus, the underlying aim is to get women to drop down from a 250ml-size glass, to 175ml….so the focus is specifically on wine, it seems, rather than alcohol in general. So there is a very narrow-focus here in terms of target audience. Moreover, the number of alcohol-related deaths among women aged 30-44 has doubled in the last 20 years, while the chronic liver disease and cirrhosis death rate in Scotland has trebled since the mid to late 1980s. You’ll also need to install Adobe Air to use this app, which is a minor hassle. However, once you’re good to go, you snap a self-portrait, and let the app do the rest. You might not like the resulting image, with wrinkles and puffed-out cheeks, but you can take heart from the fact that this is avoidable…simply pull back on the little slider, and you’ll see an improved end-product. Oh, and remember to drink less wine, too. The app is available for Android-only at present, but an iOS incarnation is on its way shortly.